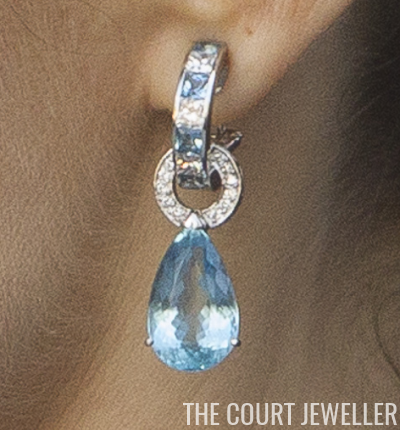 Queen Letizia wore a pair of statement earrings for the commemoration: aquamarine and diamond earrings by Bulgari. 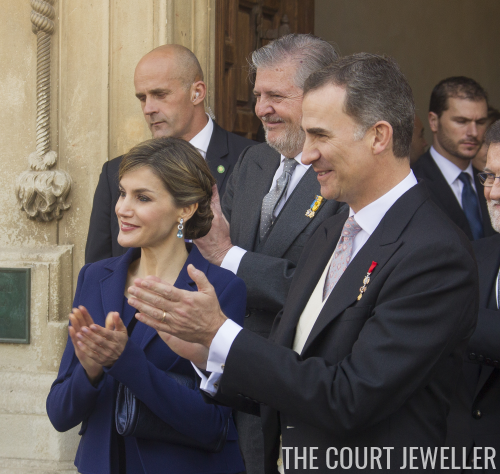 This pair has been in Letizia's jewelry wardrobe for some time. 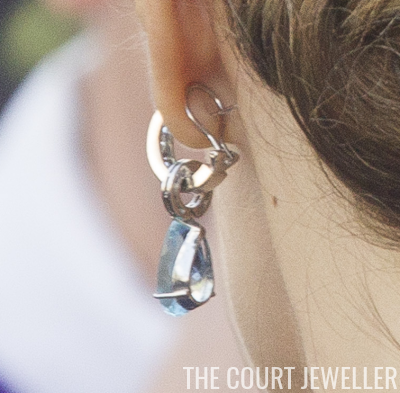 Here's a close-up of the modern earrings. And here's a look at the back of the jewel, including the fastening mechanism. 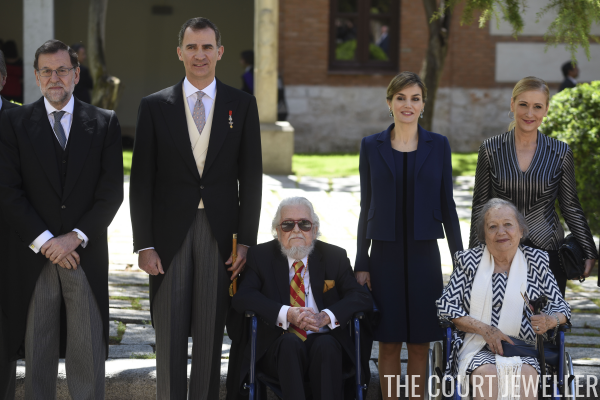 As a part of the festivities, Felipe and Letizia joined national and local leaders to present the Cervantes literary award to Spanish writer Fernando del Paso.